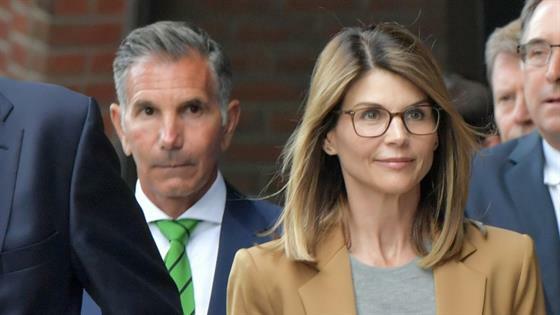 Lori Loughlin faces new legal trouble amid the college cheating scandal. The Fuller House star, who last month was charged with conspiracy to commit mail fraud and honest services mail fraud, has now been charged in a second superseding indictment with conspiring to commit fraud and money laundering. Loughlin, 54, and her husband, Mossimo Giannulli, 55, are among 16 parents involved in the scandal who are now facing the additional charge. "Sixteen parents involved in the college admissions scandal were charged today in Boston in a second superseding indictment with conspiring to commit fraud and money laundering in connection with a scheme to use bribery to cheat on college entrance exams and to facilitate their children's admission to selective colleges and universities as purported athletic recruits," a Department of Justice press release announced on Tuesday. The defendants are charged with conspiring with William "Rick" Singer, as well as others, to bribe SAT and ACT exam administrators to allow a test taker to take college entrance exams in place of the students or to correct the answers of the students after they finished, and with bribing university athletic coaches and administrators to "facilitate the admission of students to elite universities as purported athletic recruits." According to the FBI affidavit for the case, released in March, "The Guannullis agreed to a pay bribes totaling $500,000 in exchange for having their two daughters designated as recruits to the USC crew team—despite the fact that they did not participate in crew—thereby facilitating their admission to USC." Tuesday's press release also states, "The second superseding indictment also charges the defendants with conspiring to launder the bribes and other payments in furtherance of the fraud by funneling them through Singer's purported charity and his for-profit corporation, as well as by transferring money into the United States, from outside the United States, for the purpose of promoting the fraud scheme." An arraignment date has not been scheduled yet. This legal news comes one day after the Department of Justice announced that 13 parents and one university athletic coach have agreed to plead guilty to charges of mail fraud and honest services mail fraud. Actress Felicity Huffman is among the parents set to plead guilty.